This bespoke Land Rover has more ridiculous features than you can count on one hand but still fits Oliver's entire family of seven. If MTV's Pimp My Ride had aired on the Food Network instead, it would have looked something like this. 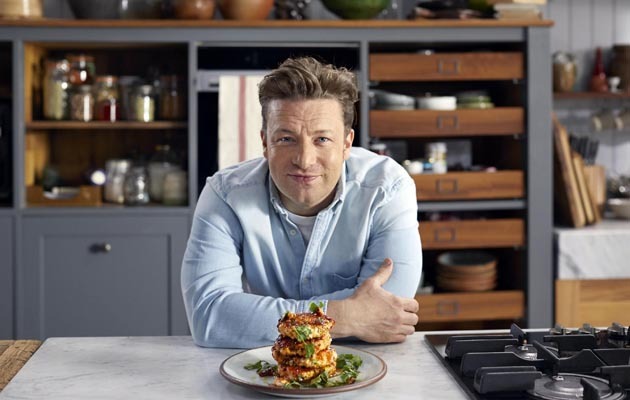 Land Rover announced that the high-end SUV brand worked with renowned British chef Jamie Oliver to create a bespoke Land Rover Discovery fully-enhanced to offer him his "dream kitchen on-the-go." Described as the "ultimate kitchen on four wheels," this family SUV with room for all seven of the Oliver crew was also designed by Jaguar Land Rover Special Vehicle Operations (SVO) to include a "slow-cooker, barbecue, ice cream maker, olive oil dispenser and will even churn butter as you drive." Hey, if worrying about a speeding ticket won't get you to slow down, maybe the threat of over-churned butter will! And the unique features don't stop there: The vehicle also includes "a toaster in the center console and a rotisserie driven by the power take off" as well as "a pasta maker, a gas burner and a foldable dining table and worktop." Uh, this definitely sounds more dangerous than texting while driving. 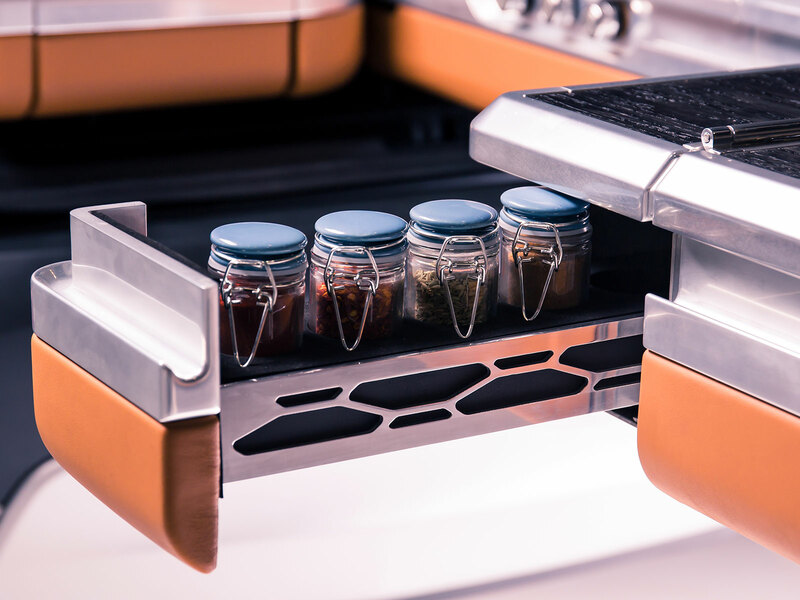 "I gave Land Rover a massive challenge to create the ultimate kitchen on wheels," Oliver said in a statement. "I dreamed big and asked for a lot, and what they've done has blown my mind. I didn't think they'd actually be able to put a slow-cooker next to the engine and an olive oil dispenser in the rear storage space, but they did. 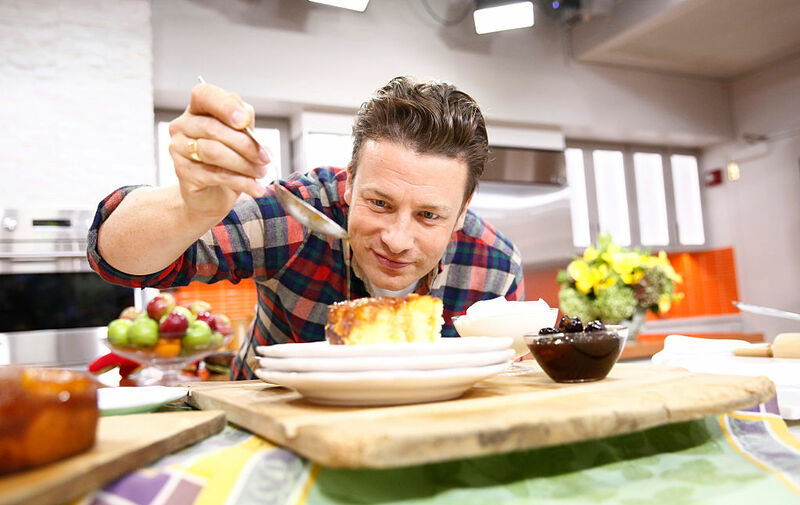 The result is an amazing Discovery, tailored perfectly for me and my family—we love it." Meanwhile, Land Rovers' Head of Bespoke at SVO David Fairbairn admitted that creating this SUV was quite the challenge. "As a team, we never imagined we would be asked to produce wheels that churn butter so it has been great fun working alongside Jamie to bring his vision to life," he stated. A better question would be why wheels haven't been used to churn butter in the past? What a waste of energy! Oh, but back to the features. 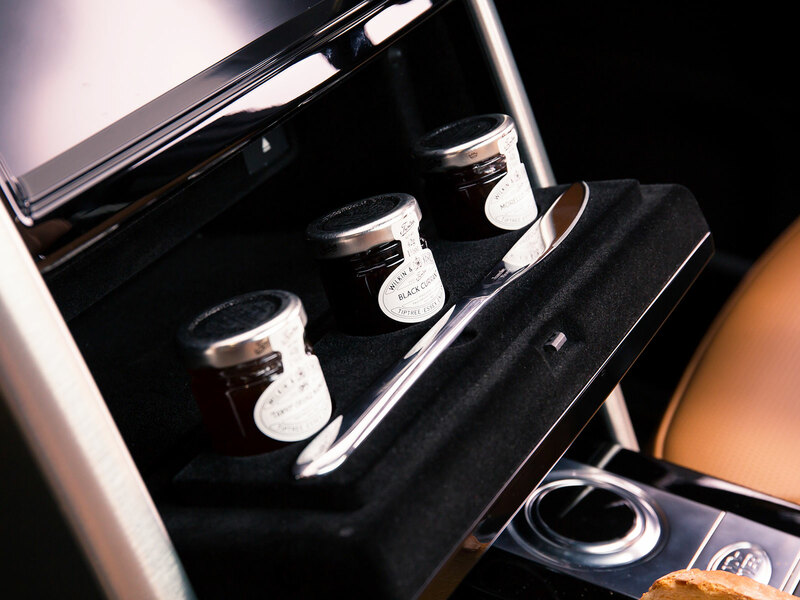 This Land Rover also has "a custom aluminum sink [and] a flat-screen TV," as well as "a bespoke mortar and pestle" and "even an herb garden and spice rack in the rear windows." Plus, don't forget that it also has "jam storage" behind the climate controls. Which… yeah… doesn't sound so exciting compared to everything else. But jam is delicious, so we're in. If you want to see this crazy SUV in action, Land Rover currently has a video showing it off on their YouTube channel. It's also being featured in a three-part series on Oliver's own Food Tube channel.